Item # 312841 Stash Points: 3,395 (?) This is the number of points you get in The Zumiez Stash for purchasing this item. Stash points are redeemable for exclusive rewards only available to Zumiez Stash members. To redeem your points check out the rewards catalog on thestash.zumiez.com. Top off your casual look with the Emerald Triangle Thin Mint Grey T-Shirt from Cookies. 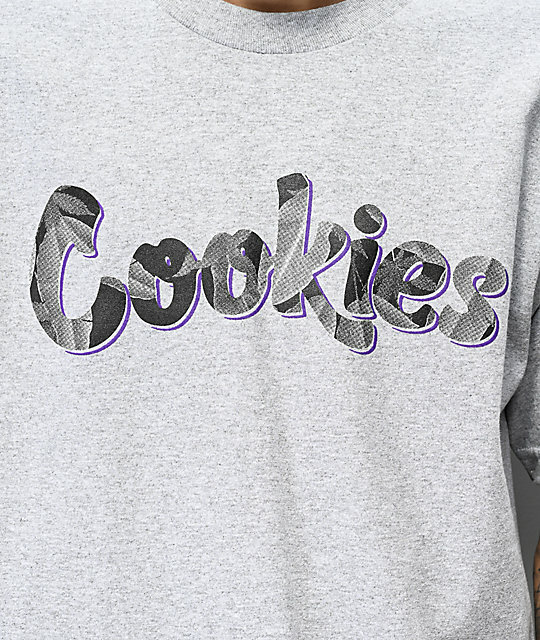 This heather grey shirt features screen-printed, Cookies logo script on the chest, with weed leaf print highlighting the letters. A relaxed fit and crew neck collar offer a classic look that will complete your Cookies collection. Emerald Triangle Thin Mint Grey T-Shirt from Cookies. 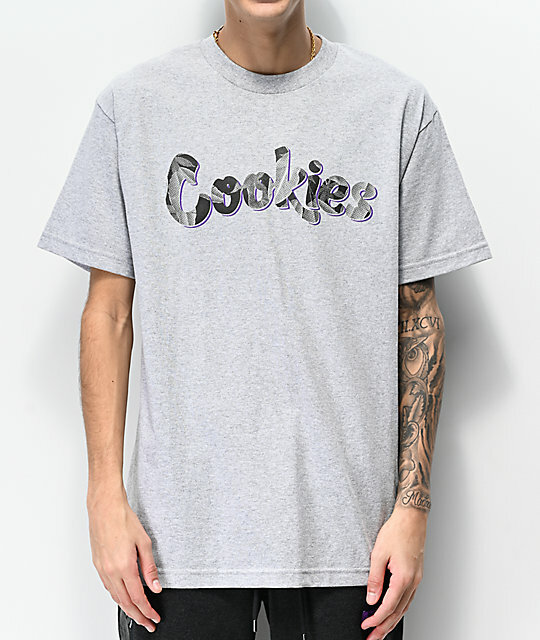 Screen-printed Cookies logo graphic on the chest. Cookies brand tags on the front and back bottom hems.